The International Space Station isn't the only spacecraft orbiting the Earth. In fact, it is accompanied by the Hubble Space Telescope, satellites within the Earth Observing System, and more than 1,000 other operational spacecraft and CubeSats. In addition to spacecraft, bits of orbital debris - human-made objects no longer serving a purpose in space - are also in orbit. With an estimated more than 100 million pieces of orbital debris measuring smaller than one centimeter currently in Earth's orbit, they can be too small to track, but many are large enough to cause damage to operational spacecraft. 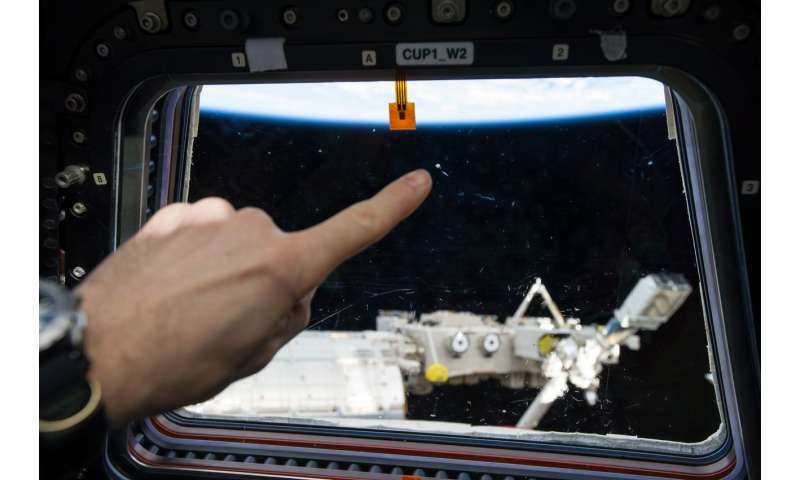 "Debris this small has the potential to damage exposed thermal protection systems, spacesuits, windows and unshielded sensitive equipment," said Joseph Hamilton, the project's principal investigator. "On the space station, it can create sharp edges on handholds along the path of spacewalkers, which can also cause damage to the suits." Using a three-layered acoustic system, the SDS characterizes the size, speed, direction and density of these small particles. The first two layers are meant to be penetrated by the debris. This dual-film system provides the time, location and speed of the debris, while the final layer - a Lexan backstop - provides the density of the object. 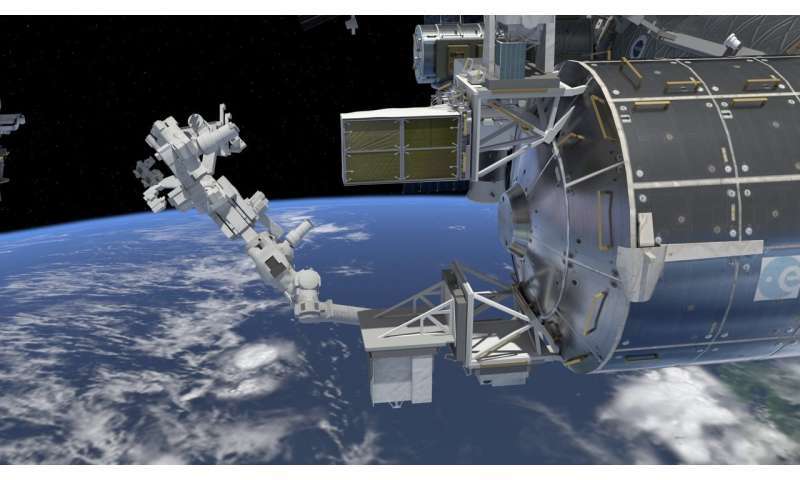 Although the backstop won't be used to return any of the collected samples, combined with the first two layers, it gives researchers valuable data about the debris that impacts the SDS while in orbit. "The backstop has sensors to measure how hard it is hit to estimate the kinetic energy of the impacting object," said Hamilton. "By combining this with velocity and size measurements from the first two layers, we hope to calculate the density of the object." "The orbital debris environment is constantly changing and needs to be continually monitored," said Hamilton. "While the upper atmosphere causes debris in low orbits to decay, new launches and new events in space will add to the population."